CHALLENGE: The Faculty Center is a complex of interconnected, one- and two-level structures originally constructed in in 1957 with subsequent additions in the late 1950’s, 1960’s, 1970’s and 1980’s. The roof coverings include steep slope wood shakes and low slope built-up asphalt roofing in multiple configurations with the thermal insulation for both types of roof assemblies located above the roof deck. Extensive roof-mounted mechanical equipment exists on majority of the low slope roof areas. 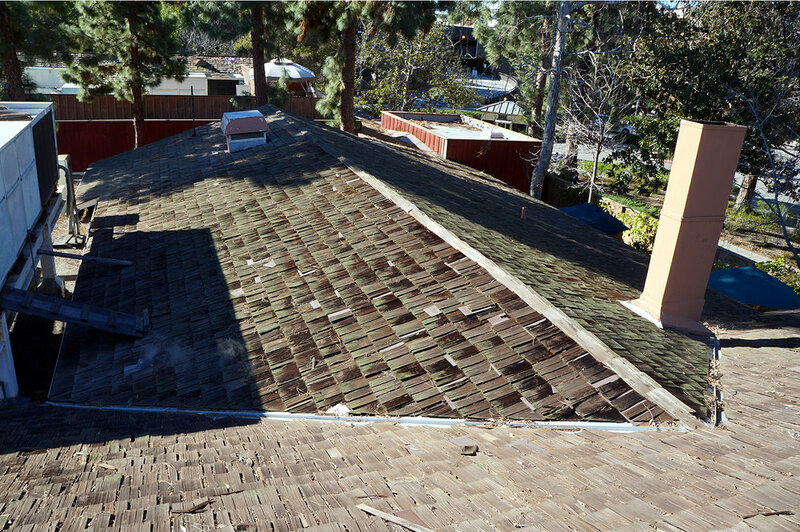 UCLA was looking for options for roof replacement and repair as part of a major building renovation. LZI was retained to investigate the condition and construction of the fifteen separate roof areas on the building and provide detailed recommendations with respect to roof repairs, and/or replacement considerations including compliance with current energy and local building codes, modification of roof mounted mechanical equipment and drainage improvement for use by UCLA retained cost estimators.